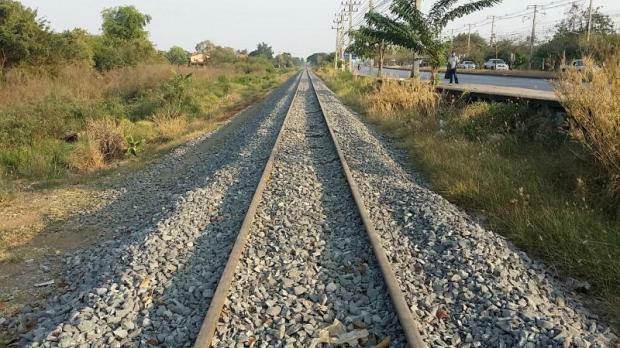 (5 April 2019) Thai transport minister Arkhom Termpittayapaisith announced that Thailand and Cambodia will soon be linked via a new connection between Thai Sa Kaeo’s Aranyaprathet district and Cambodia’s Pot Pet, Sisophon and Battambang districts. According to Arkhom, the new link is expected to boost border trade and tourism between the countries and is part of the country’s plans to enhance economic cooperation between countries in the Greater Mekong Subregion’s Southern Economic Corridor. Furthermore, as a symbolic gesture of cooperation, Thailand will give Cambodia a four-carriage diesel train that will be unveiled during the opening of the new route. (9 April 2019) The Vietnamese government is committed to creating favourable business environment for foreign investors, and welcomes Thai businesses looking to set up shop in Vietnam, said Vietnam Deputy Prime Minister (DPM) Trinh Dinh Dung. The DPM’s remarks were made during a reception for Thailand’s Siam Cement Public Company Limited (SCG) in Vietnam executive director Dhep Vongvanich on April 9, where both sides reaffirmed their commitment to complete the US$5.4 billion Long Son petrochemical complex in Vietnam’s southern province of Ba Ria-Vung Tau as soon as possible. Meanwhile, Thailand’s third largest power company Gulf Energy Development PCL’s share price saw a 50% surge after it announced in August last year its plans to invest in energy ventures in Vietnam. Last month, Gulf Energy submitted a proposal to build a US$7.8 billion liquefied natural gas (LNG) power plant in Vietnam’s Ninh Thuan province and is currently eyeing a 5,000-megawatt (MW) gas power complex in the Dong Nai province. (10 April 2019) Cambodian mines and energy minister Suy Sem announced on April 9 that his ministry is in discussions with the Vietnamese government to procure another 50 MW of electricity on top of the 170 MW that is currently being supplied. Cambodia’s request comes after it cancelled the leasing of a floating 200-MW Turkish power plant due to technical issues. Cambodia also intends to buy 200 MW from Laos, with an agreement signed to purchase power from 2019 to 2021. The current shortage of electricity supply in Cambodia is caused by its hydropower plants’ inability to generate power due to the recent dry spell. According to the Mines and Energy Ministry, Cambodia’s demand for electricity will grow by 16.12% this year to reach 2,870 MW. However, the country will need to continue relying on electricity imports from neighbouring Thailand, Vietnam and Laos for now as its local power sources have a limited 2,428 MW capacity. (10 April 2019) Lao energy and mines minister Dr Khammany Inthirath and Thai energy minister Dr Siri Jirapongphan launched the Xayaburi Hydroelectric Power Project’s first turbine generator unit on April 10 — the first of eight “fish-friendly” turbine generators that will eventually power the 1,285 MW project. The Xayaburi project will be the first hydroelectric power plant on the lower Mekong River, situated around 80 kilometres from northern Laos’ Luang Prabang. Furthermore, the project is considered the new benchmark for environmentally-friendly power plants on the Mekong River as it includes fish passage facilities and fish locks to facilitate the natural migration of fish both upstream and downstream. The project, developed by Thailand’s CK Power Public Company, is expected to be fully operational by the end of 2019. (8 April 2019) The Lao government expects another 12 power plants to start operating this year, bringing the country’s installed energy capacity to around 9,152.9 MW. The dozen new power plants will be in addition to Laos’ existing 57 large power plants with an installed capacity of 7,193 MW, generating approximately 3,145.5 Gigawatt hours (GWh) every year. 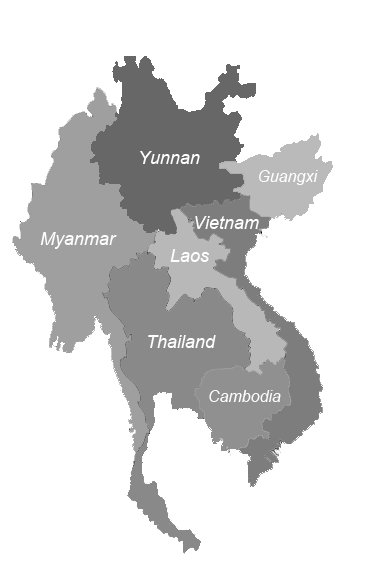 Laos presently exports electricity to Thailand, Vietnam, Cambodia, Myanmar and Malaysia. The country expects to generate 7,000 MW for Thailand, 1,000 MW for Vietnam, 200 MW for Cambodia and 300 MW for Malaysia by 2020, as well as 100 MW for Myanmar by 2022. With this, Lao government expects to generate US$1.9 billion worth of energy this year, and it hopes to eventually export up to US$1.45 billion worth of electricity. The Greater Mekong Subregion (GMS) Economic Programme was launched by the Asian Development Bank in 1992 connecting five developing ASEAN countries, namely Cambodia, Laos, Myanmar, Vietnam and Thailand, and Chinese provinces of Yunnan and Guangxi Zhuang Autonomous region. The region has some of the most robust economies sharing the Mekong River Basin thanks to its reform and liberalisation. The subregion is growing at a faster pace than the whole of East Asia and the Asia Pacific as the GDP growth rate for 2017 was at 6.4 percent, according to the World Bank. The population at the subregion as of 2016 is at 340 million while the GDP at PPP is at US$3.1 trillion in 2016. In 2015, trading within the region was at US$444 billion. Why all the talk of IR4.0 when so much of ASEAN is pre-industrial on an industrial scale? Are Private Sector and Businesses ASEAN Ready? Can ASEAN Economic Community Be A Reality By 2015? What Are The Missing Links In The ASEAN Community? Copyright © 2018 CIMB ASEAN Research Institute. All rights reserved.